Magic Kingdom has some of the most classic Disney rides! When you dream of visiting Disney World, what rides to you plan to go on? 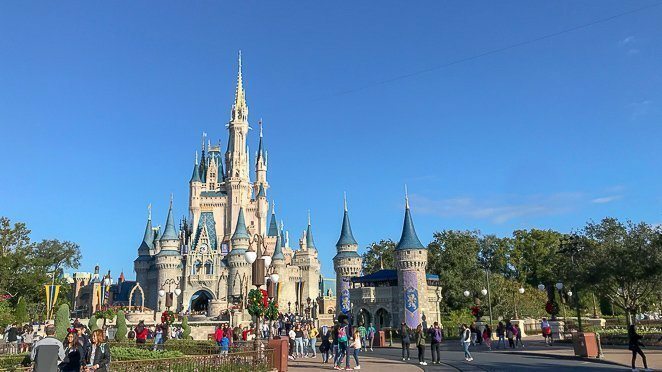 If you're like me and enjoy planning ahead to help make the most out of your visit to Disney’s Magic Kingdom Orlando, then you’ve come to the right place. 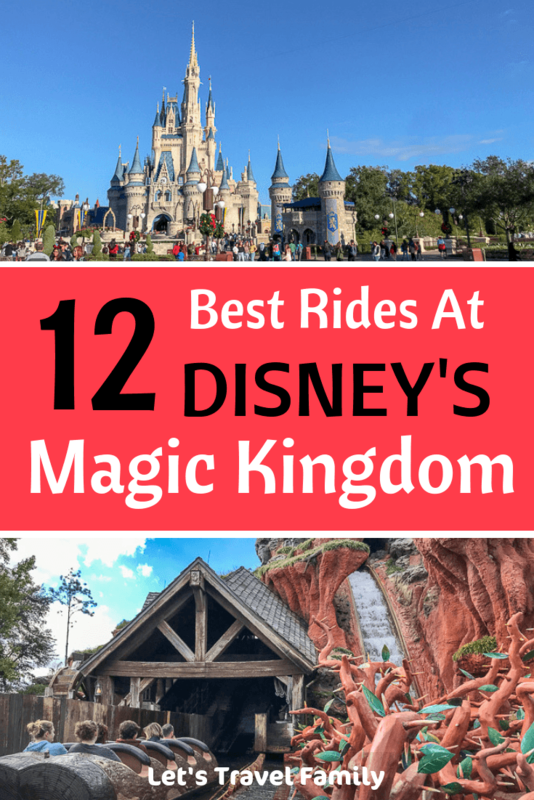 Here you will find a list of the best rides at Magic Kingdom, including height requirements! Planning your first trip to Disney World? Be sure to check out our tips on how to make your Disney trip a surprise here. 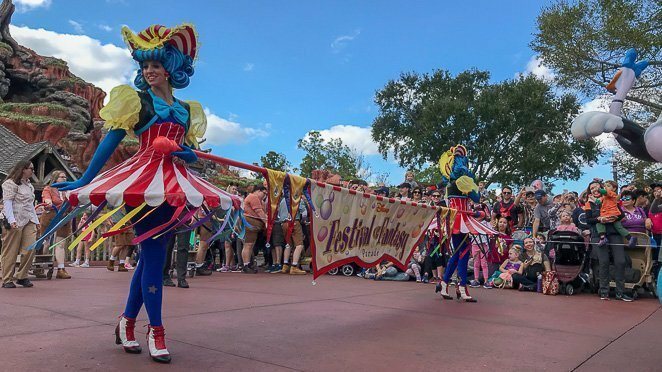 You should also keep in mind that there are many things to do at Magic Kingdom other than going on rides such as watching the Festival of Fantasy Parade or dinning with the characters. One of our family’s favorite Magic Kingdom attractions was the Happily Ever After fireworks show. Yet, when planning your big day at Walt Disney World, deciding which rides to go on is a hard decision. Each family is different and height requirements can limit you. Although, when we visited Magic Kingdom we didn't find height requirements to be too limiting with our toddler. Disney does a great job of offering many rides for toddlers and a few thrilling rides for the older kids too! What's the most popular ride at Magic Kingdom? How long are the lines really? These are some of the questions we will be answering to help you plan your magical day. So, let’s dive right into our pick of the best rides at Magic Kingdom. Space Mountain is a a roller coster that most people find pretty thrilling. It's inside and is almost completely dark. Children need to be 44 inches or taller and I wouldn't recommend it for those afraid of the dark. Our oldest two kiddos rank Space Mountain as their favorite ride at Disney World. Grab a fastpass for Space Mountain, as the lines get very long and it is one of the most popular rides at Magic Kingdom. 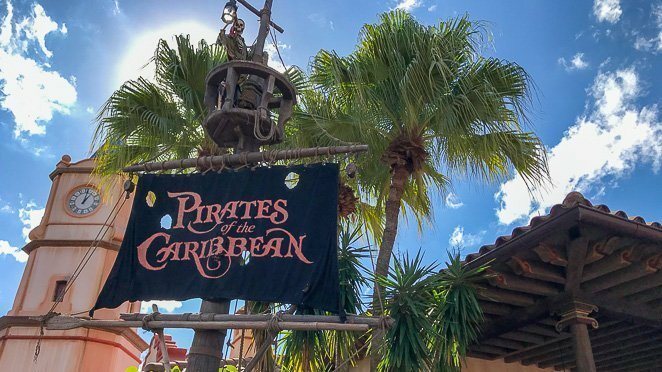 Pirates of the Caribbean is a boat ride back in time to when pirates ruled the seas. It's a very popular ride that kids and adults love, yet it is dark and some say you can get wet now that they made a change to the ride. The line can get very long so I would recommend using your fastpass for this ride and is for all heights. Seven Dwarf's Mine Train is considered one of the top rides at Disney World. It's a roller coaster that most kids and adults love. Children need to be 38 inches to ride and I highly recommend using your FastPass for this ride as it's one of the most popular rides at Disney. 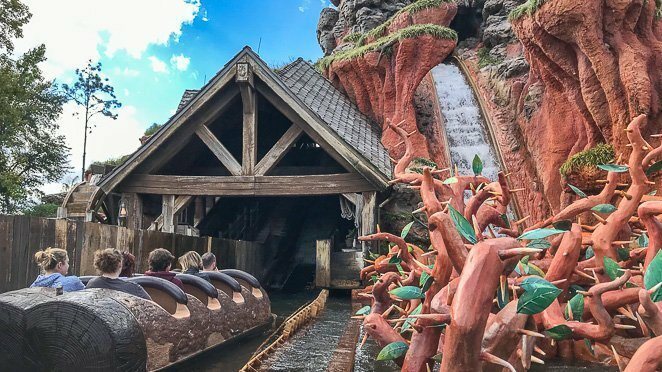 Splash Mountain is another thrilling ride that the older kids will enjoy. Be warned though, you will get wet! There are several drops on this flume-like ride and it surprisingly lasts longer than most other thrill rides at Walt Disney World. Our 6 and 8 year old loved Splash Mountain enough that they asked if we could go back on it a second time! Heigh requirements are 40 inches and it is a popular ride, so try to grab a fastpass. Or, get in line right after the Festival of Fantasy Parade is over! Dumbo the Flying Elephant is a part of the Fantasyland Magic Kingdom, offering 2 Dumbo spinners! You sit inside Dumbo while it spins and you or your little one can control if Dumbo moves up and down while spinning. The wait time is not too bad so I wouldn't recommend using your fastpass on this ride. All heights are allowed on! Big Thunder Mountain Rail Road is a roller coaster ride that brings you back to the wild west. If you like roller coasters and are near Splash Mountain then add this ride to your list. 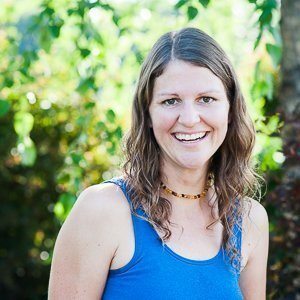 Children need to be 40 inches or taller to ride. I wouldn't use a fastpass for this, but you can if your other top picks are not available. 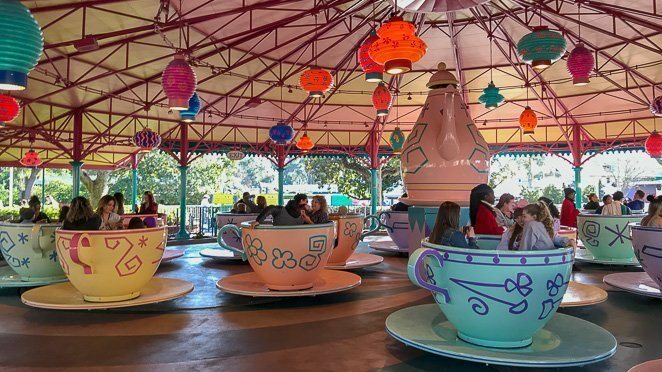 The Mad Tea Party is a great ride to hop in line quick for a short wait. Be warned, you WILL get dizzy on this ride...that's why I sit out and watch Tony take the kids on this ride. No fastpass required and all heights welcome. The Carousel of Progress is located just beyond the castle in the middle of Magic Kingdom. It's a great family ride that lasts just long enough to make most kids happy. This is one of my favorite Magic Kingdom rides for toddlers because parents can stand next to their children while riding and the lines are not too long. No fastpass required and all heights are welcome. 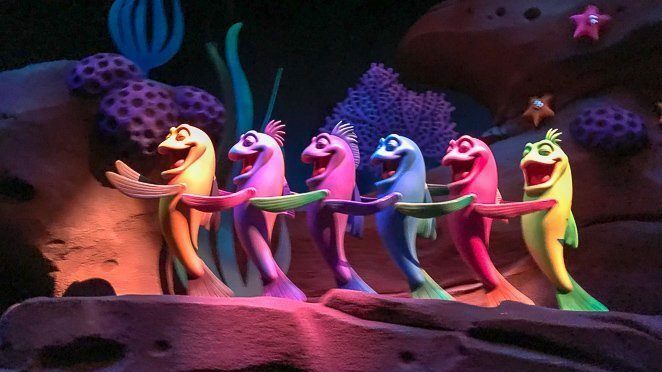 Under the Sea is a storytelling ride with some pretty entertaining features. Our family was 'wowed' on this ride, even though there was no thrill feature. There are a few attractions that are not exactly rides, but may require you to stand in line and possibly use a FastPass. I love that every Disney park has more than just rides, but fun experiences that often wow you! 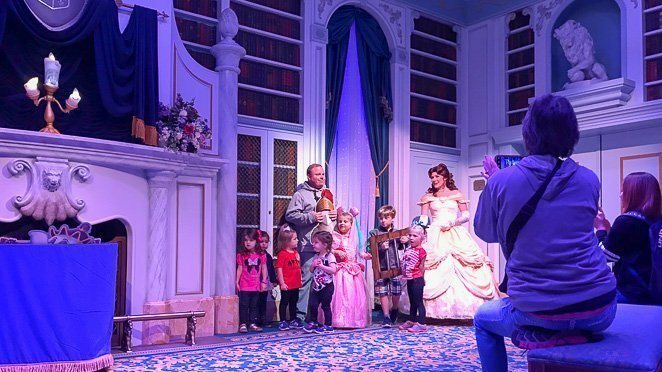 Enchanted Tales with Belle is an attraction that often has a line and some families will want to use their FastPass. Your children, and some adults, will be asked to participate in a production (think child's play) and act out parts of Beauty and the Beast WITH Belle herself! All of the children that participate will have the opportunity to have their picture taken with Belle in her beautiful gown at the end of the play. All heights welcome. I wouldn't use a fastpass here, but some families with young children may want to. 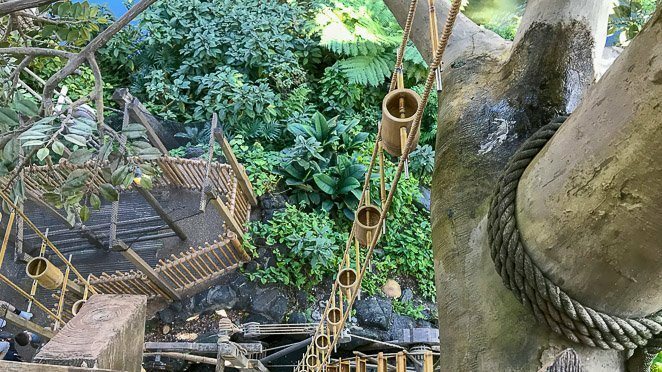 The Swiss Family Robinson's Tree House is a great place to visit anytime throughout the day. There are never any lines, you can walk through it at your own pace, and we found it to be a great change of pace between rides. 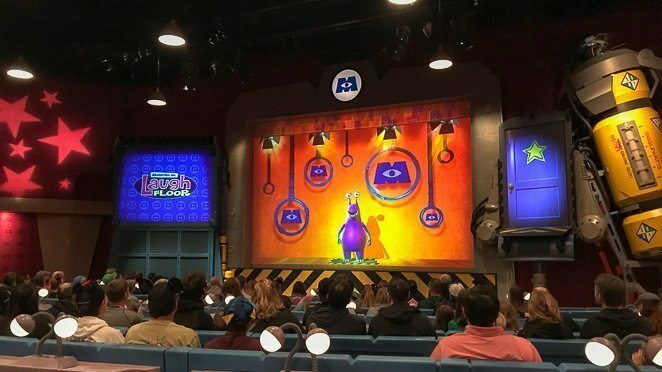 Monster's Ink is not a ride, but a comedy show that is screened-based. Monsters interact with the audience and tell some pretty great jokes that are great for all ages. Don't use your FastPass here, all heights are welcome and it's a great place to cool off and sit for a few minutes while being entertained. 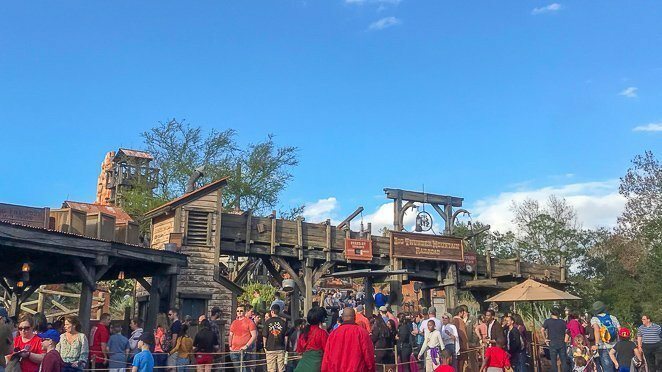 When trying to decide which would be the best fast passes for rides at Magic Kingdom, there are a few things to consider. Most importantly, you need to book your FastPass as early as possible. For example, you can only book your FastPass 30 or 60 days in advance. If you are staying at a Disney resort, then you can book your 3 FastPass rides 60 days ahead of time. Or, if you decide to stay off site, then you have 30 days to book your FastPass. Therefore, I recommend that you book your FastPass as soon as you can, as they limit how many are available per ride. The next important step when planning your day is to decide your route around Magic Kingdom. If you’ve never been, it’s a very large park and you don’t want to take your family back and forth in a zig-zag fashion all day long in order to hit your Magic Kingdom FastPass rides. Instead, be a bit strategic in your planning and bring a few things that will help you make your day run smoothly. To help you find your route, download the Disney App to your phone and become familiar with it. You can use the app on your phone to make changes to your FastPass+ while in the park and can give you great tips such as how long the wait time is at each ride in the moment. You can also buy your MagicBands here which will make using your FastPasses even easier. Once you’ve read the list of Disney rides and considered your children’s heights and ages, then try to decide which are your family’s top 5 rides that you want to make sure to hit. Then plan out what direction to walk around the park. I’ve found that walking counter-clockwise often results in less people and a shorter wait time on rides since so many people tend to walk clockwise. At your 30 or 60-day window login to your Fastpass+ and try to grab passes for your top 3 rides in order of the direction you want to walk. Then have a few back up ideas if your preferred FastPasses are full. Pro tip: When you're at Magic Kingdom and check in to your 3rd FastPass+ ride, hop on your Disney App and quickly search to see if any other FastPasses are open for the remainder of the day and grab one! Depending on how busy the park is that day, you might find something good and have a 4th FastPass+! Visiting Magic Kingdom is all about making memories together! With a little planning you will be sure to have an amazing time because Disney knows how to make everyone in your family feel special. They don't call it 'The Most Magical Place on Earth' for nothing! 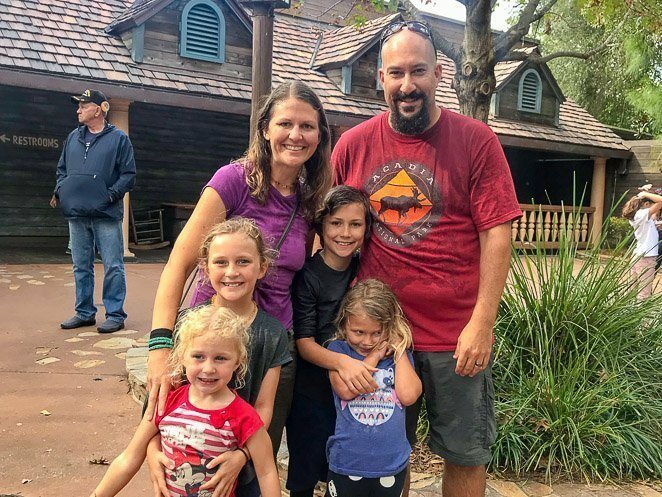 Our full-time traveling family enjoyed our very first visit to Magic Kingdom this winter and made some of the best memories! I can't wait to go back! Now, if you plan to do any more traveling around the Orlando area, my friend highly recommends visiting Harry Potter World at Universal Studios. We hope to make it sometime in the next few years as our kids are HUGE Harry Potty fans. Or, take a road trip to the West Cost of Florida to check out some of our family's favorite sugar sand beaches. On the way, plan a day at Legoland Florida.